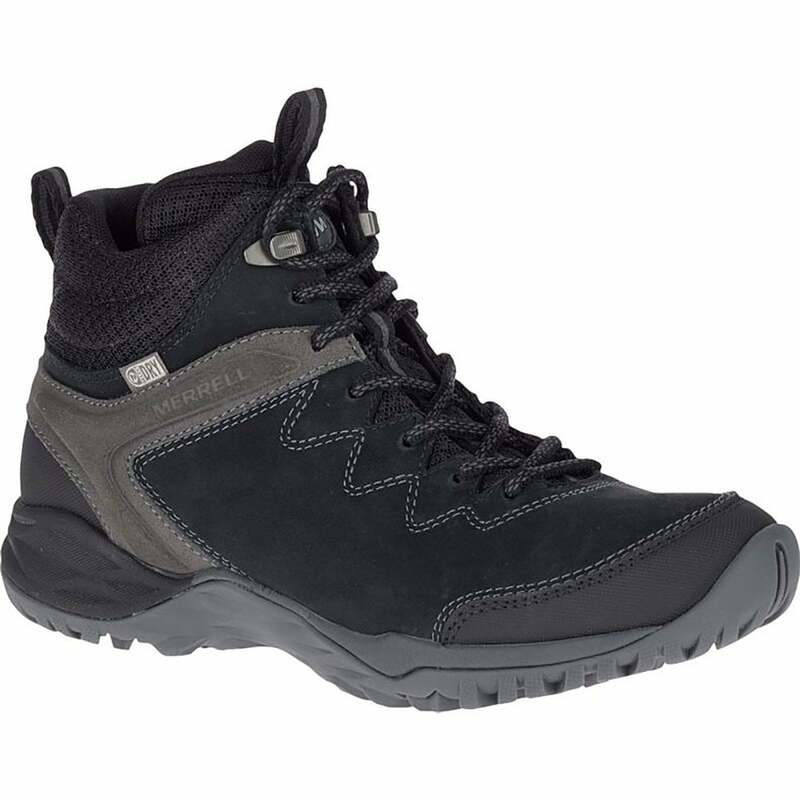 The Merrell Ladies Siren Traveller Q2 Mid Boots are leather and mesh hiker boots, and engineered for the way women move, offering support, alignment, and gender-specific stability. M Select Dry is a waterproof and breathable membrane that keeps water and wind out while allowing moisture vapour from perspiration to escape, ensuring your feet are comfortably dry inside and out. M Select Fresh is a treatment that eliminates sweat and its odour-causing bacteria using friendly microbes. Natural enzymes break down perspiration, eliminating odours before they start and keep your feet feeling fresher for longer. An M-Select Grip outsole provides durable traction and grip over a wide variety of terrain, providing stability and confidence on uneven ground. Slip-resistant performance provides grip in wet and dry conditions while the self-cleaning lug design releases dirt to prevent build up of debris. Kinetic Fit Base removable, contoured insole for flexible support. Kinetic Fit™ TRI insole is contoured like your foot and features triple zone arch support to provide light support. The Merrell Q Form 2 midsole is a dual-density foam midsole designed to provide the correct support, cushioning and positioning required for a natural and balanced stride pattern. The gender-engineered midsole guides the foot and improves stride efficiency while the heel-centering technology stabilises the foot and absorbs shock for superior comfort. Other features include bellowed tongues to keep debris out; Moulded nylon arch shank; Breathable mesh lining; Leather and mesh upper; And metal hook and lacing eyelet for secure lacing.